Today I was at work – no chance to cook, prepare or buy food for myself; at the mercy of the staff restaurant and work colleagues. On a day full of birthdays the office was brimming with biscuits, cookies, breadsticks and cakes, all oozing with palm oil. Or, so I thought … fortunately for me our local supermarket to work is Sainsbury’s, so palm oil was clearly marked where it occurred. Which left one thing with palm oil noticeably absent – chocolate caramel shortcake squares! Thank you Sainsbury’s for giving me one tasty alternative among the treats. 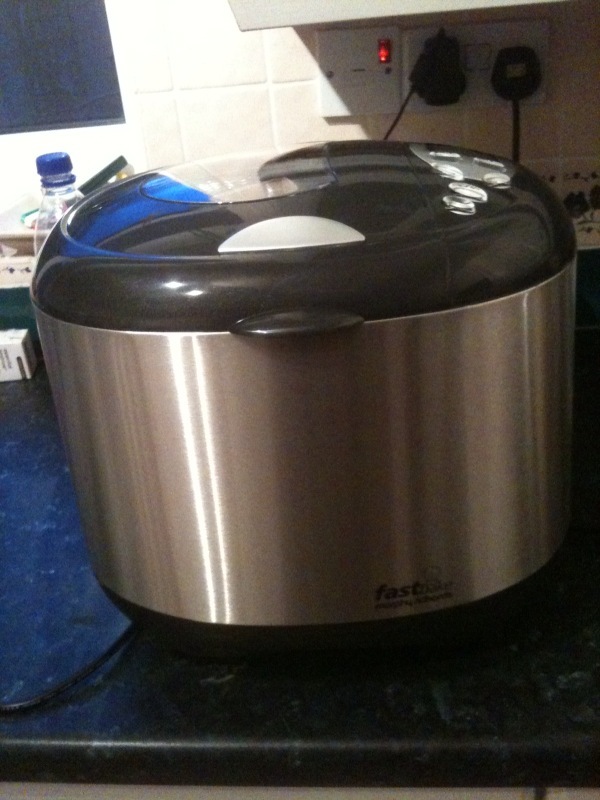 Even more exciting was the arrival of a brand new gadget to solve my grainy problem … a bread maker! Tonight’s dinner, courtesy of my mother, was a gorgeous chilli served with fresh, crusty, palm-oil free bread. Gorgeous. You’ll love it – I’ve got a breadmaker and the smell that fills the house when it’s on is almost as good as the bread itself! This entry was posted on February 19, 2010 at 10:07 pm and filed under Uncategorized. You can follow any responses to this entry through the RSS feed.